Can you hear me now? If you're having trouble getting reliable cell phone reception in your home or office, you might consider investing in a cell phone booster. These types of products most commonly consist of three main components: the donor antenna, the signal amplifier, and the device antenna. The first part of a cell phone booster system consists of an antenna installed outside of the building. This is sometimes called the outside antenna, the donor antenna, or the tower antenna. It receives the cell signal from nearby cell phone towers the same way your phone normally would, except it is much more powerful. As a result, it is capable of picking up weak or faint signals your phone typically would not. However, it is important to note, it won't work where there is no reception at all. Another important consideration is the tower antenna (and the rest of the booster system) must be compatible with the wireless network to which you are subscribed. Consider the specifications as they related to 2G, 3G, and 4G LTE signals, as well as the various bands on which they operate. A booster that works with Verizon may not necessarily work with AT&T and vice versa. One reason you may experience poor cell phone reception in your home or workplace is the signal struggles to penetrate difficult building materials like brick and concrete. The actual building itself functions as an obstacle for the signal to get through. Because the donor antenna is installed on the outside of the building, it is able to overcome this common hurdle, something most homemade signal boosters cannot achieve. The second component is the signal amplifier. This is commonly connected to the donor antenna through a high quality, low loss coaxial cable. Also called a booster unit, the cell phone signal amplifier boosts the strength of the signal - up to 32 times, depending on the product used - so a weak signal becomes much more usable. This results in fewer lost connections and dropped calls as well as faster wireless data speeds. The signal amplifier is equivalent to what happens when you speak into a microphone as part of a larger sound system compared to when you speak unassisted. It takes what is there and makes it "louder" so you can be "heard" more easily. The third and final major component of the system is the device antenna. This is connected to the signal amplifier using the same kind of coaxial cable connects the amplifier to the outside antenna. Depending on the product you purchase, you may have one or more device antennas that can then be installed in various locations throughout the interior of the building. In effect, the device antenna functions like a miniature cell phone tower inside your home, office, or any other building. 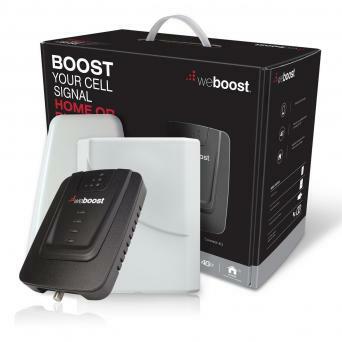 It is able to broadcast the boosted signal from the signal amplifier, connecting to all the cell phones and other related wireless products in the vicinity. Because cell phones need to both send and receive signals, the whole cell phone signal boosting system also works in the reverse direction. Your phone sends a signal to the device antenna, which is amplified by the booster unit, which is then transmitted to the outside antenna, which is then sent off to the nearest cell phone tower. 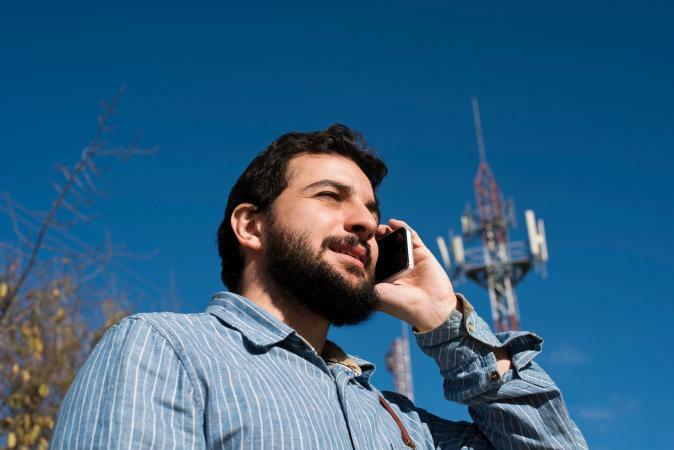 While this article mostly focused on cell phone boosters that can be installed on buildings like homes and businesses, the same fundamental principles apply for mobile signal boosters that can be installed on trucks, RVs, boats, and other types of vehicles. They still grab the cell phone signal, amplify it, and rebroadcast it, helping you stay connected almost everywhere you go.